I see a John Hesp-like amount of color at an outer table, and three all-ins on a Q-6-4 board, with one player holding AQ for TopTop, one holding KQ for almost TopTop .. and the third player - David Madrona (above)has Aces. The board runs out 3-4 and Madrona's Aces hold, gaining him a full triple-up. 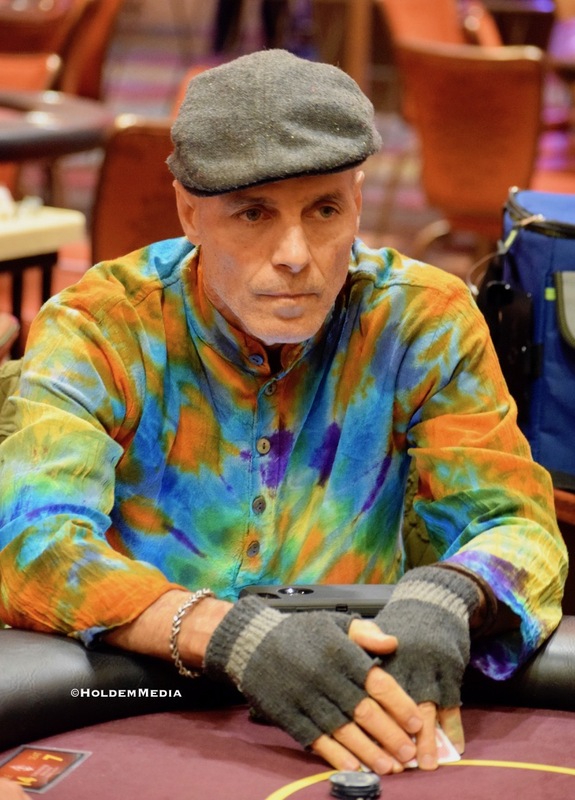 He doubles up a 22,400-chip short stack a few hands later AT>A9.